God possesses infinite grace, yet people who do not know God think that God’s resources are finite. [17:20] For each one of them we provide; we provide for those and these from your Lord’s bounties. Your Lord’s bounties are inexhaustible. Jealousy unlike envy is the belief that God’s mercy, provisions, blessings are a zero-sum game, such that God rewarding some is taking away from the reward from others. Why are the disbelievers among the followers of the scripture, or the idol worshipers jealous of the believers? Why not just join them and reap in God’s benefits? Jealousy is an attribute of the ego where we want what others have. Jealousy and fairness are related and we see that even monkey’s have a sense of fairness in them, and since monkey’s have no ego there should be something more to jealousy. People are jealous because they only see the cross-section of someone’s life where they get the achievement and not all the hard work and backstory that it took to get there. God sees everything we all do and knows who is most deserving of what reward, and sometimes what appears to be a reward for someone else is actually their downfall. [6:124] When a powerful proof comes to them, they say, “We will not believe, unless we are given what is given to GOD’s messengers!” GOD knows exactly who is best qualified to deliver His message. Such criminals will suffer debasement at GOD, and terrible retribution as a consequence of their evil scheming. 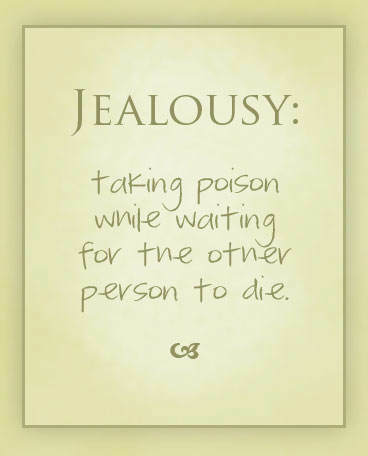 Jealousy is about losing something..i.e. power, money etc. The people of previous scripture feel like they are losing God’s favor. [2:247] Their prophet said to them, “GOD has appointed Taloot (Saul) to be your king.” They said, “How can he have kingship over us when we are more worthy of kingship than he; he is not even rich?” He said, “GOD has chosen him over you, and has blessed him with an abundance in knowledge and in body.” GOD grants His kingship to whomever He wills. GOD is Bounteous, Omniscient. Jealousy in s society can be very destructive. In some countries the thought of someone else being successful is looked at negatively, but in the US especially in Silicon Valley it is looked in a positive light. Because people in the US see someone else successful and think good for them if they too work hard they can achieve that same status. One example of destructive jealousy can be seen in the game show “Who Wants to Be a Millionaire.” In some countries the audience members will attempt to sabotage the contestant because they don’t think they are worthy of winning. In the US the audience will typically try their best to help the contestant succeed. What research do we know behind the brain effects of jealousy? God tells us to compete in righteousness (5:48). Does jealousy fuel competition? In a competition you can try to trip or sabotage your competition or help them along. When we compete in righteousness we realize that someone else’s victory does not mean our loss. When we compete in righteousness we are happy for others who gain in righteousness because it makes this world a better place and we all benefit from that. [10:98] Any community that believes will surely be rewarded for believing. For example, the people of Jonah: when they believed, we relieved the humiliating retribution they had been suffering in this world, and we made them prosperous.